College expenses are something every student deals with. Tuition, books, and room and board are just a few of the added costs the average college student can expect. Some students at Black Hills State University believe that meal plans on campus are too expensive or even a waste of their money. The other fees included in the meal plan come from the facility fee, dining dollars and taxes, which add up to roughly $460. Roughly the amount that is spent on meals in the meal plan is $1,162. For $9 per day, a student can eat all they want in a meal with any choice of food from the station they choose, drinks and desserts. Katie Giesler, a student at BHSU believes the plan isn’t for everyone. “The meal plan is a good idea for some students but not others because some people won’t use the full plan and is a potential waste of money for some students,” she said. Austin Recountre, another student at BHSU enjoys the current meal plan. “I think it’s pretty fair for the amount of meals we get per semester,” he said. The meals change from day to day and some are repeated. There is a variety of meals so one meal is not repeated too many times. Some students that have been here for a while have had almost everything that Aa��viands has to offer but still enjoy the meals. There are different stations that students can choose from in the cafeteria. These stations include Pao, The Grille, Bravo, Market Place, Sweet Peppers Deli, Field of Greens and the bakery. 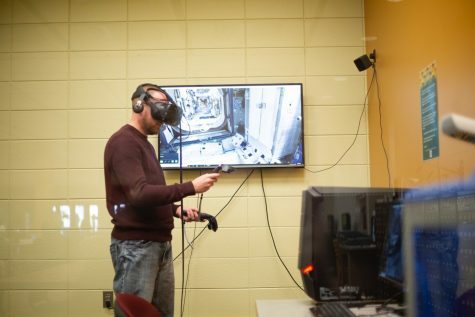 There is always something new at each station for BHSU students to try. Hartman stated that students have more choices when it comes to eating on campus. “The variety has gotten better over the years and now we have vegan and gluten-free meals for the students,”he said. 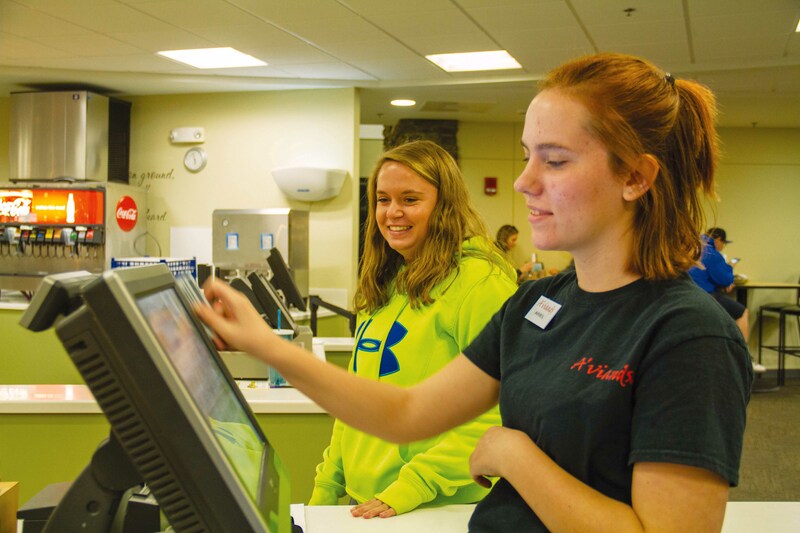 Aa��viands has always offered vegetarian options for students and gluten-free and vegan options have been added this year. This gives everyone a variety to choose from. Students also have more of options with the opening of Einstein Bros. Bagels opening in the E. Y. Berry Library in February 2016. BHSU students are able to use their meal plan there. Showman opened Einstein Bros. Bagels so that the students were given more options. Einstein Bros. Bagels has a diverse menu for students and the general public that doesn’t limit it to just bagels and coffee. The menu does include bagels and coffee but also provides hot and cold deli sandwiches, baked goods, soups, salads, lemonades and teas.